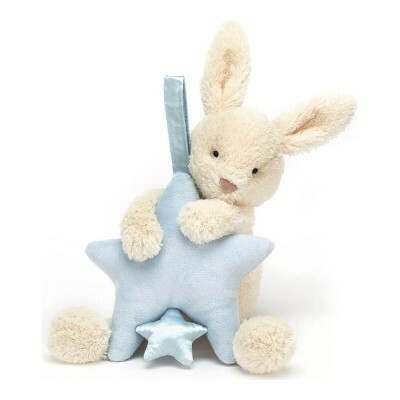 For yawny giggles and sleepy smiles, the Star Bunny Blue Musical Pull is a treat. 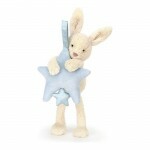 Our creamy bunny has reached up high and grabbed onto a pretty blue star! 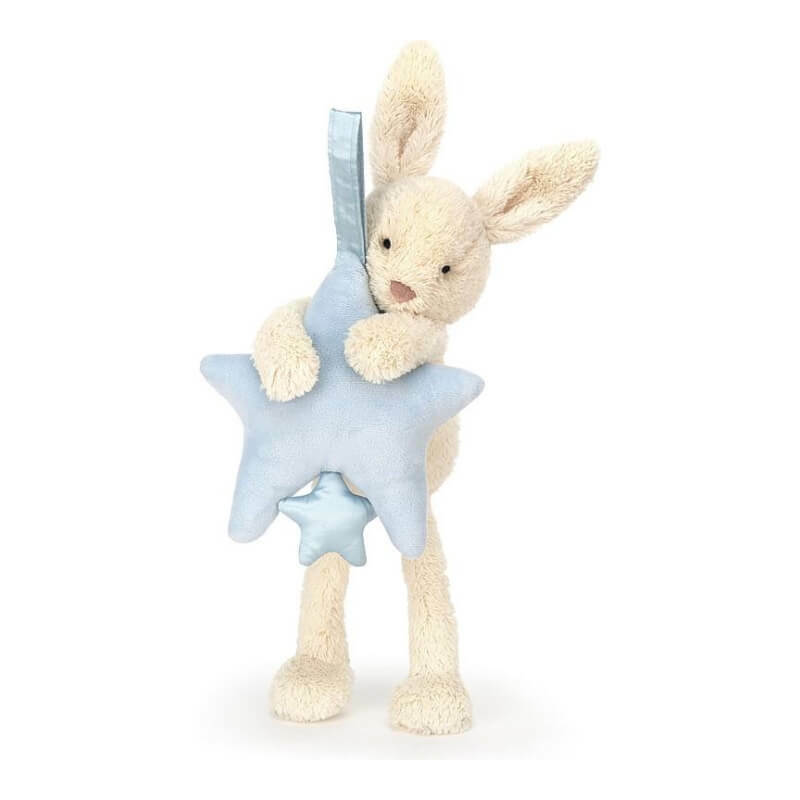 Cute from head to dangly feet, this funny bun wants to share a song. Tug the little blue satin star to hear Twinkle Twinkle, Little Star!